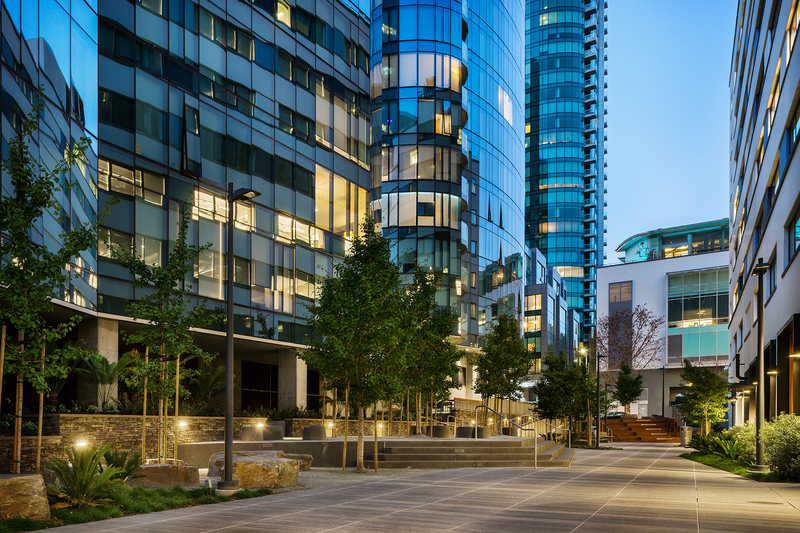 Located adjacent to the multi-tower Lumina Condominium project with landscape design also by PB&Co, Rincon Park is a 15,000-square foot pass-through park, connecting Main Street and Beale Street in San Francisco’s Rincon Hill neighborhood. The space provides both passive and active areas for users. 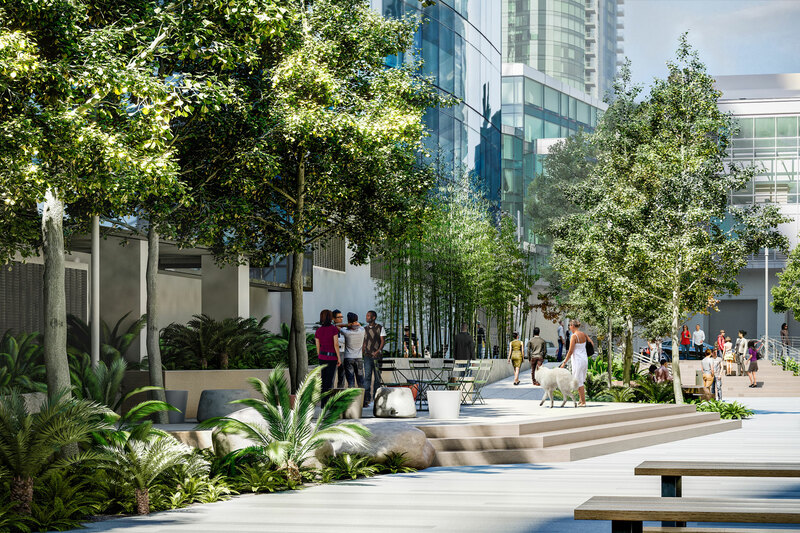 The space is divided by planted areas into a central passthrough zone and an upper walkway/patio zone that offers an ADA path and meandering walkway. 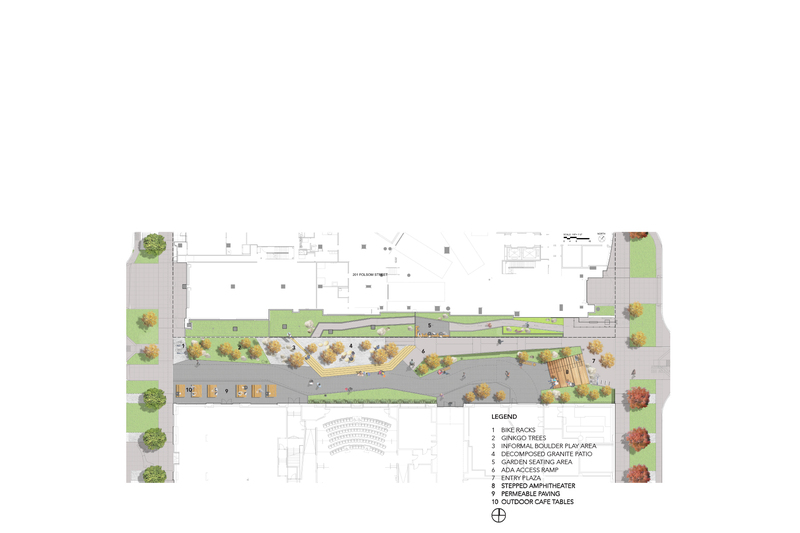 Significant components include a large entry plaza, an amphitheater that doubles as a performance venue and casual seating area, dog relief area, decomposed granite patio with casual seating arrangements, smaller scale garden seating areas, a permeable paving plaza with café tables, and an informal boulder play area. 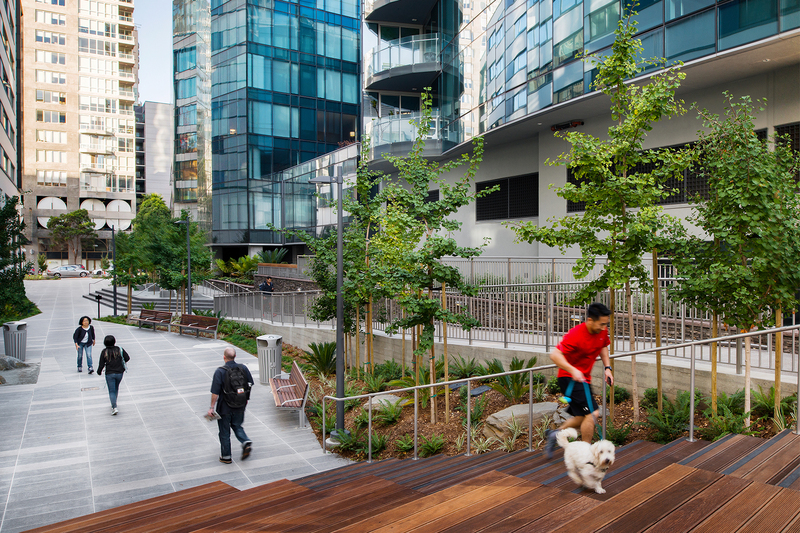 Plant palettes were inspired by excavations on the site, which exposed not only baylighter barges used in this area of San Francisco to transport goods through the shallow waterways, but also fossils of prehistoric plant materials including Ginkgo trees, ferns, and other epiphytes, all represented in the planting of the park.